You are here: Home / Personal Development / Are you a Right or Left Brainer: Free Personality Test Review! 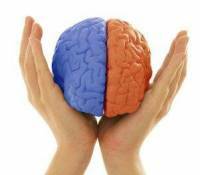 Are you a Right or Left Brainer: Free Personality Test Review! Do you need to find your left and right alignment? These days, we often are asked to complete a personality test for career or personal development reasons. We hear words such as right or left brain, sensing and judging, but what does this stuff mean anyway? Does it really have bearing on what is important in our daily life? You may be wondering if you are a right or left brain person. How do you determine which one you are? There are personally tests that help people discern a variety of aspects about their personality, including if you are a left or right brain person. I have been taking personally tests for about 10 years now and I find they can reveal a lot that is very relevant to daily life. At risk of generalizing, people who are more right brain tend to be more influenced by their feelings, relationships and being in the now. They make an art of being, and have wonderful creative skills and spirit. They are often the musicians and artists of the world. Out of the box thinkers, visionaries, inventors and problem solvers. And they often value relationships and tend to have a more organic approach to life, preferring to set their own pace. On the other hand, Left Brainers tend to be more influenced by thinking, goals and the future. They have refined the skill of doing. They have an amazing ability to take a goal and break it down into tasks and steps. Plus, they often have the natural ability to be organized, timely, disciplined and accountable. They can initiate, get things going, take a plan and put it into action. These people are often great at project management and great with money. They also excel at coming up with ways to be more effective, efficient and organized. We are often asked if it is it better to be a Right or Left Brained. My reply is that neither is better or worse. There are equal gifts in being a right and left brainer as well as definite challenges when dwelling primarily in one polarity or the other, especially if you find yourself in the wrong career. Both left and right brain are on a continuum. Improving awareness of your right or left brain skills and tendencies can help promote balance in your life and your business. If you notice your life, relationships, decisions or career are facing the same challenges over and over again, it may very well indicate a lack of left and right brain balance. If you want to know if you are a right or left brainer, try this free test and see for yourself. Better yet, email us at info@globalalignmentcoaching.com by March 15th for a Free 30 minute Personality Test Review (via Skype). We find it’s powerful to learn insight into what your test means. What natural assets and possible challenges might you face in your current life, relationships, decisions and career choice? We will even provide you with some tips to help you switch gears and find your alignment!